The photos above were all shot at the best shop in the Antique Trove, Martin Mattox. The space is triple the size of an ordinary stall, and jammed packed with the most curious of curios. The best way to describe the stuff is "Everyday Eccentric." 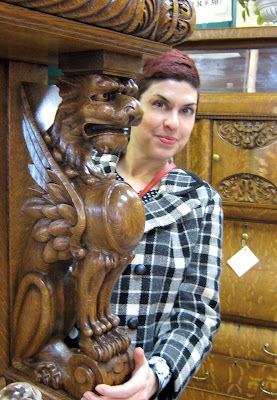 There's a collection of vintage paint-by-number paintings, wonderful porcelien hands that look like they came from a glove factory, odd, old photos, fantastic folk paintings, collections of numbers and letters in all shapes and sizes, an assortment of furniture that defies description (let me try: an antique stool re-covered in pony hair? ), amazing stuff. What makes it all so special is the way the items are brought together: who would have thought to fill a curio cabinet with speciman coral, sea shells, an old doll, an antique mirror and a peculiar garland made out of old bullet casings? Well, they did, and it's beautiful. Surreal. So Real, yo. The space is triple the size of an ordinary stall, and jammed packed with the most curious of curios. The best way to describe the stuff is "Everyday Eccentric." I think they inspire more than just their customers. 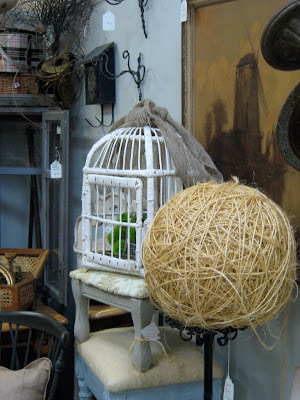 I've noticed several other dealers are decorating their nests to look more and more like Martin Mattox. Suddenly sea shells and bell jars are all the rage. 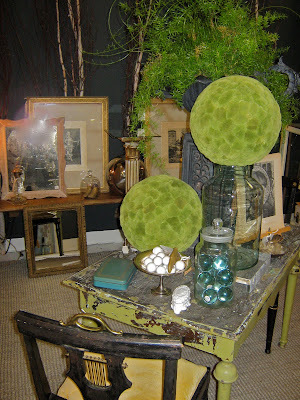 Collections of things find their way to other purveyors vignettes. You know what they say about imitation being the sincerest form of flattery? Well, the designers behind Martin Mattox should be bruised with compliments by now. I know many of time I've been inspired by their vision. And I hope you will be too. They recently revamped their website, and are setting up to have select items available for sale via the web. Take a gander, and let me know what YOU think. Martin Mattox by Arbogast Design. Have you checked out the store in LA called New Stone Age? It is one of my favorites for ideas. Kinda expensive, but I get all sorts of ideas for collecting and searching from there. Your post reminded me of them. Hi Em, no I haven't. Do they have a website? I'd like to check them out. LOL! Just realized the web address YOU did post was theirs. OMG! Wonderfully quirky stuff, I love it! they have the most awesome things ever!! Wow! This post just motivated me and now I have the strength to go vintage shopping all day long! I just moved in to a new place and am planning to redecorate well everything and what better way to do it then finding original and amazing items in Antique stores and thrift stores! I love your pictures they made me feel like I was actually next to you!! !